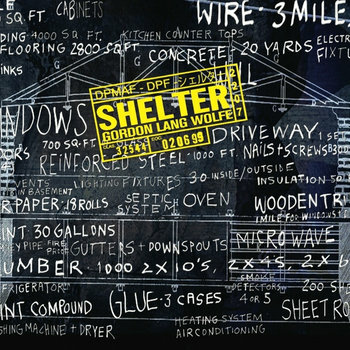 Inspired by the brand new Gordon, Lang & Wolfe album, Shelter. - I thought that this is really the best way to present a truely wonderful album and potential cornerstone in the BOAC catalogue. I will probably continue this by posting other Cantloupe artists. - Bang on a Can All-stars - "Brian Eno: Music for Airports (Live)"
- "Cantaloupe Music is a record label founded in March 2001 created by the three founders of New York's legendary Bang on a Can Festival: Michael Gordon, David Lang, and Julia Wolfe, and Bang on a Can Managing Director Kenny Savelson. Cantaloupe Music has made a massive impact in the new music community, and been recognized by critics and fans around the globe for its adventurous sounds. Its goal is to provide a home for "music that slips between the cracks." In its decade long history, Cantaloupe has repeatedly received "Top 10 of the Year" accolades from publications such as The New York Times, The Guardian (UK), The Wire, the New Yorker, Newsday, the Washington Post, the Boston Globe, Mojo, the San Jose Mercury News, Gramophone, Billboard, Stereophile, and Time Out NY. Its releases have also been featured on CNN, PitchforkMedia, NPR, PaperThinWalls, BBC, and other major TV/radio/online outlets. Cantaloupe Music is distributed by Naxos of America and music can also be purchased on the Bang on a Can Store website. Through Cantaloupe Music, Bang on a Can continues its mission to spread the gospel of risk-taking new music. Bang on a Can—dedicated to the work of composers across the entire aesthetic spectrum—has created a home for musical inventors, misfits, and pioneers. Founded in 1987 by Gordon, Lang, Wolfe the non-profit has grown from a one-day festival to a multi-faceted organization. Their decision to launch Cantaloupe Music represented the culmination of 15 years of ground-breaking concerts and a decade of successful recording projects on multiple major record labels." - And many others . . .
Current projects include the annual Bang on a Can Marathon; The People's Commissioning Fund, a membership program to commission emerging composers; the Bang on a Can All-Stars, who tour to major festivals and concert venues around the world every year; recording projects; the Bang on a Can Summer Music Festival, a professional development program for young composers and performers led by today’s pioneers of experimental music; Asphalt Orchestra, Bang on a Can’s extreme street band that offers mobile performances re-contextualizing unusual music; Found Sound Nation, a new technology-based musical outreach program now partnering with the State Department of the United States of America to create Onebeat, a revolutionary, post-political residency program that uses music to bridge the gulf between young American musicians and young musicians from developing countries; cross-disciplinary collaborations and projects with DJs, visual artists, choreographers, filmmakers and more. Each new program has evolved to answer specific challenges faced by today’s musicians, composers and audiences, in order to make innovative music widely accessible and wildly received. Bang on a Can’s inventive and aggressive approach to programming and presentation has created a large and vibrant international audience made up of people of all ages who are rediscovering the value of contemporary music." - "Over the past 25 years, Michael Gordon, David Lang and Julia Wolfe have changed how composers think about writing, commissioning and presenting music. Since the founding of Bang on a Can in 1987, these three artists have defined their own landscape in modern music, fusing classical tradition with pop techniques in ways that continue to inspire an emerging generation of young artists. - "Ensemble Signal is a large NY-based ensemble dedicated to offering the broadest possible audience access to a diverse range of contemporary works through performance, commissioning, recording, and education. Its Artist roster includes some of most gifted and innovative young musicians working in New York. Signal performs with conductor Brad Lubman, who founded the group along with cellist and co-artistic director Lauren Radnofsky. Lubman, one of the premier conductors of new music, has worked closely with some of greatest composers of contemporary concert music – among them Berio, Boulez, Reich, Wuorinen, and Lachenmann – and has appeared with some of the world’s most illustrious orchestras and new music ensembles. To form what The New York Times has described as “one of the most vital groups of its kind,” Lubman and Radnofsky assembled a “new music dream team” (TimeOutNY) of independent artists who have worked closely with one another and Lubman over the last decade. Members of JACK Quartet, Alarm Will Sound, and other leading New York ensembles perform regularly with the ensemble. Signal is flexible in size and instrumentation, enabling it to meet the demands of its diverse repertoire that ranges from Steve Reich to Helmut Lachenmann. At home in concert halls, clubs, and international festivals alike, Signal has performed at venues ranging from Carnegie Hall's Zankel Hall to (le)Poisson Rouge. Signal made its debut in Spring 2008 at the Bang on a Can Marathon in NYC and the Ojai Music Festival in California, earning praise for “deeply committed performances” (Musical America) of “gripping vehemence” (LA Times). Soon after, Signal gave two sold-out performances of Steve Reich’s Music for 18 Musicians and You Are (Variations) at (le) Poisson Rouge, earning praise from the New York Times for their “vibrant, euphoric performances that seemed to electrify the remarkably youthful audience.” Capacity crowds have greeted Signal’s returns to LPR for performances including Philip Glass’s Suite from ‘The Hours’ and Symphony No. 3, Michael Gordon’s Trance, and Steve Reich’s Pulitzer Prize-winning Double Sextet. 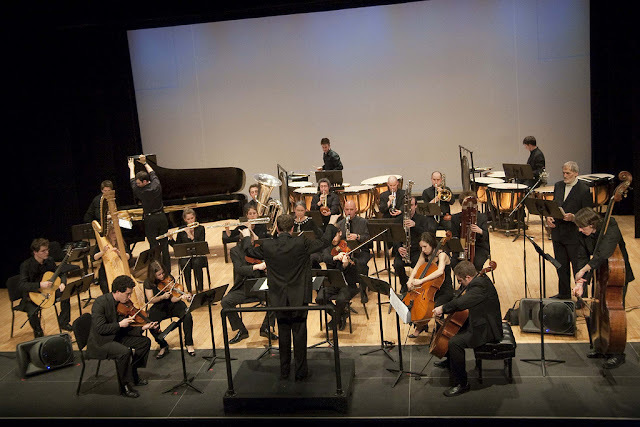 Recent highlights include performances at The Tanglewood Festival of Comtemporary Music, playing the music of Brian Ferneyhough; The Guggenheim Museum, for a staged production of the NY Premiere of Charles Wuorinen’s It Happens Like This; and on Miller Theatre’s Composer Portrait series, premiering a new work by Hilda Paredes, written for Signal and Irvine Arditti. Future projects include the commission of a 30 min work for 20 players by Steve Reich. On the educational side, Signal helps emerging composers and performers refine their craft through collaborations at institutions such as the Eastman School of Music and the June in Buffalo festival. Signal’s recordings include Philip Glass's Glassworks and Music in Similar Motion (Glass's Orange Mountain label); and Sarah Kirkland Snider’s Penelope (New Amsterdam Records). 2012-13 recording releases include a CD/surround-sound DVD of music by Lachenmann, with the composer as soloist in Zwei Gefühle (Mode); Michael Gordon, David Lang, and Julia Wolfe’s Shelter (Cantaloupe); and Reich’s Music for 18 Musicians and pulitzer-prize winning Double Sextet (Cantaloupe)." And Cantaloupe is now on drip.fm. $10/month. If you haven't picked up Shelter yet this appears to be a no brainer for you to try, BN. 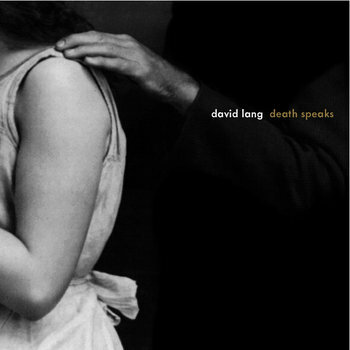 - Featuring Bryce Dessner, Nico Muhly, Owen Pallett and Shara Worden on "death speaks" // Elizabeth Farnum, Katie Geissinger, Alexandra Montano, Alex Sweeton (vocals), Maya Beiser (cellos) on "depart"
- "In 2012, David Lang spent so much time racking up awards -- from Carnegie Hall's 2013-14 Debs Composer's Chair to Musical America's Composer of the Year -- that it's a wonder he was able to wrangle a project of the size and scope of death speaks. Commissioned by Carnegie Hall and Stanford Lively Arts to go on a program with his piece the little match girl passion, death speaks draws its initial inspiration from the work of Schubert -- specifically the song "Death and the Maiden." As a companion to the five-part "death speaks," Lang also composed "depart," the second piece on the CD. Featuring four solo vocalists with Maya Beiser on multi-tracked cellos, the music offers a life-affirming meditative ambience intended to help family members deal with the death of a loved one. The piece currently plays as part of a permanent installation at a hospital morgue just outside of Paris. For more about the making of "depart," listen to this fascinating Radiolab podcast, with excerpts from an interview with David Lang." - "We made these remixes on the road for fun, and enjoyed listening to them loud in the car driving back to Brooklyn late at night. They are rough, but we like them and would love to give them to you as a gift for listening to us. Enjoy!" They recently released Amid The Noise on drip (finally got to listen to it this morning - excellent) and will be dripping the remix collection, too. Although since it's free and in flac on bandcamp, too, no real advantage. Is drip available outside the US? It must depend on the label. Because Domino only drips releases that they have worldwide rights to, and Ghostly (and others) have given away tickets to shows in other countries. Mom + Pop, on the other hand, has specifically said they are US only. Not sure about Cantaloupe. - "Cantaloupe Music presents Tayatha — a bold new collaboration from Tibetan singer Yungchen Lhamo and Russian pianist Anton Batagov, coming June 25! A native of Lhasa, Lhamo has emerged as one of the world’s leading Tibetan singers, known for her hypnotic a cappella performances and her deep spiritual commitment to Tibetan history and culture. She has released three critically acclaimed albums with Peter Gabriel’s Real World label — Tibet, Tibet (1996), Coming Home (1998) and Ama (2006) — and has collaborated with a diverse range of artists including Natalie Merchant, Philip Glass, Annie Lennox, Michael Stipe and Billy Corgan. Loosely translated, "Tayatha" is a Tibetan Buddhist term that means “it is like this.” This recording marks an unprecedented foray for Lhamo into post-minimalist improvisation with Anton Batagov, a graduate of the Moscow Tchaikovsky Conservatory who has been described by the L.A. Times as “a Russian Terry Riley.” Intimate and unusually personal, Tayatha traces a journey of spiritual transformation, invoking the universal themes of love, family, faith and renewal." "A long journey of sounds, travels and prayers led to this musical experiment coming to fruition, and I am so thankful to all who have participated in making it happen. When I was a child in Tibet, my mother taught me how the Medicine Buddha’s Prayer could be a vehicle for making all sentient beings healthy inside and out, and the song we have recorded with that title draws upon this timeless theme. I hope that all who listen to this album will benefit from our musical collaboration, as a reminder of how a profound personal and spiritual transformation are still possible in these times." 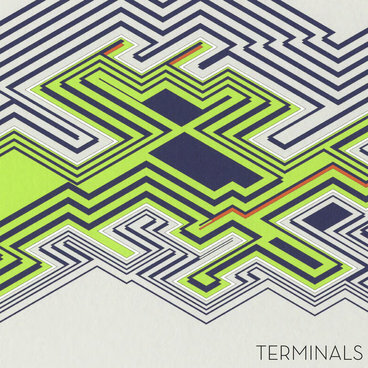 "Please play this whole album without interruption, because it's a trip that has its special trajectory. In a way, it’s like a modern vocal cycle—a continuation of the old traditions: Schubert, Mahler, Mussorgsky, Prokofiev. A wanderer from Schubert's Winterreise sings about loneliness, death and illusory hope. We are the 21st-century wanderers. The world is much crazier today than it was 200 years ago. No matter where we were born, what language we speak, what words we use for prayers, we make our way through this crazy world, and we are still hoping that good times will come." - "neither Anvil nor Pulley is, in short, a wordless musical epic that explores the man/machine relationship in the digital age. 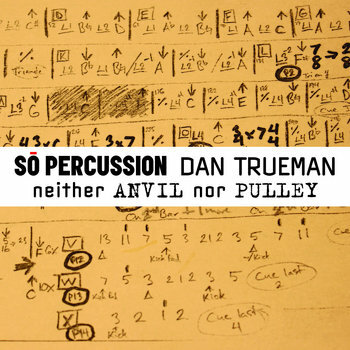 Composed by Dan Trueman, a Princeton music professor who co-founded the Princeton Laptop Orchestra and is a master of the Norwegian Hardanger fiddle, the work was commissioned by So Percussion and calls for a "laptop/percussion quartet with turntable." 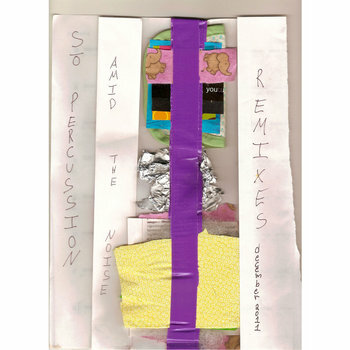 It was first performed in Austin, Texas in March 2010, and eventually made its way to Carnegie's Zankel Hall in New York City, where the New York Times lauded the "dazzling results" of mixing "George Crumb's knack for unearthly timbres, Alvin Lucier's infinitesimally fine gradations of tone and the fierce creative audacity of Jimi Hendrix." Around and in between these two pieces are three fiddle pieces that sound as though they flew in from long ago. Trueman is keenly aware of how differently fiddlers and laptops deal with time, and these songs highlight the differences. In the end, the jury is still out as to who wins the contest: man (or more aptly, musician) or machine?" - "DAN TRUEMAN is an American composer and fiddler (b.1968). He began studying violin at the age of 4, and decades later, after a chance encounter, fell in love with the Norwegian Hardanger fiddle, an instrument and tradition that has deeply affected all of his work. He has performed his music with many, including his own Trollstilt and QQQ, the American Composers Orchestra, So Percussion, the Crash Ensemble, the Brentano string quartet, and innumerable wonderful fiddlers. His explorations of musical instruments have extended into new technologies; Dan is the co-founder and director of the Princeton Laptop Orchestra (PLOrk), the first ensemble of its size and kind. Dan’s compositions reflect this range, exploring the rhythmic tension between traditional dance music and machines, or the unusual phrasings and counterpoint of traditional Norwegian music, or the diverse influences of composers like Bach, Stravinsky, Reich, Cage, and others. Dan’s work has been recognized by awards from the Guggenheim and MacArthur Foundations, among others. He teaches composition, counterpoint, electronic/computer music, and tune-making at Princeton University. Upcoming projects include a recording of neither Anvil nor Pulley with So Percussion, a piece for fiddler Caoimhín Ó Raghallaigh and members of the Crash Ensemble, a number of pieces for laptop orchestra, a piece for steel-drum virtuoso Josh Quillen, a record of laptop orchestra music with Sideband, a record of original and traditional tunes with the aforementioned Caoimhín, a project with the Irish group Yurodny, and more…"
- "Ask composer, singer, violinist and multi-instrumentalist Caleb Burhans about his relationship to the Christian tenets of faith, and he'll give you a thoughtful but conflicted answer. "Despite the fact that I've sung in church choirs for almost twenty years, I'm agnostic," he says. "So a lot of my music deals with my struggles with religion." Alarm Will Sound, in fact, takes up the secular portion of Evensong, performing three pieces that test the very limits of a large ensemble's expressive capabilities. "oh ye of little faith" is the arguable centerpiece, described by none other than Steve Reich as "a lovely homage to Arvo Part's In Memorium Banjamin Britten." Further on, the Tarab Cello Ensemble infuses "The Things Left Unsaid" with contemplative longing. With whimsical and incisive liner notes by longtime friend, collaborator and guitarist Grey Mcmurray, Evensong marks Burhans' arrival as one of the most promising young composers to emerge from NYC's trial-by-fire proving ground." - "Caleb Burhans was born in 1980 in Monterey, California to Ron and Venus Burhans. He grew up listening to his father, who in the '60s and '70s had played rock 'n roll on tour with Ray Charles, Kenny Rogers and the Everly Brothers. Burhans' musical studies began as a boy soprano at the age of nine in Houston, Texas. In 1990, he moved to Janesville, Wisconsin, where he studied violin, piano, music theory and composition, as well as picking up viola, cello, bass, percussion, mandolin, guitar, electric bass and conducting. During his years in high school, Burhans participated in such musical endeavors as choir, orchestra and strolling strings, as well as jazz and punk bands. After graduating from high school in 1997, he attended Interlochen Arts Academy before moving on to the Eastman School of Music in Rochester, New York. While at Eastman, he studied violin, viola, voice, composition, chamber music, orchestral music, baroque performance practice and contemporary music. 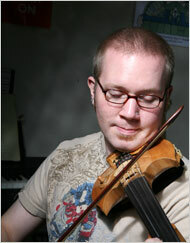 Burhans graduated from Eastman with a bachelor's degree in viola performance and composition. In the summer of 2003, Burhans and his wife Martha Cluver moved (with their lizard, named Buddha) to New York City, where they now reside. Burhans specializes in early music, contemporary music, pop/rock music, and free improv. His main instruments are violin, viola, guitar, piano and singing countertenor. In addition to his career as a freelance violinist, violist and countertenor, Burhans is a member of the Trinity Wall Street Choir, Philadelphia's Schola Nova and the new music ensemble Alarm Will Sound, as well as the bands Dialects, itsnotyouitsme and Beyondo. He has been heralded by the New York Times as "animated and versatile" and a "sweet-voiced countertenor." - "the phone rings. the fax machine goes off. the radio is on. so is the tv, the computer is running and hooked up to the internet. I’m scanning music from all over the globe, great music and outlaw music, music by anyone that can set up a home page. the CD store is open 24 hours a day. at 3am I feel like listening to pygmy chanting from Africa, or Sufi dervishes from Turkey, or overtone singing from Mongolia. outside my window there’s noise. the subway runs over the Williamsburg Bridge, screeching metal against metal that I’ve begun to like. I hear the overtones and harmonies in the noise. my friends play koto, bagpipes, banjo, zither, pan-pipes, harmonica, turntables … as well as violin and piano. the music they play is Irish, Indonesian, Indian, punk, Baroque, Peruvian, Polynesian. put it all together, mix it in a blender, bake it in the oven. out comes an upside-down cake. the cake tastes good. very good. I like cake. in London Icebreaker is baking the same cake. pan-pipes, samplers, electric guitars, violin, accordion, saxes. forget what you know about music, period. its no longer crossover, fusion, world, new age, ambient … whatever new word corporate record companies come up with this week. what’s happening is beyond trendy transcriptions and hype. its actually a breakdown of musics, plural, and the emergence of new musics, also plural. out of the rot and decay of the musical traditions of various cultures comes new musical ideas built on the fact that the world is small, no place is remote, and information travels fast. a new idea in India is recorded and in the shop down the street before the end of the week. but who needs to wait? in the midst of this cacophony of world noise the parameters of composing have changed. a composer picks their own heritage and destiny. I woke up startled and the next morning I started work on Trance. I knew right away that the piece was for Icebreaker. I had been working with them for several years and they were everything that every other ensemble was not. The first time I met them they took me to a cottage outside of London where they rehearsed all day long for 4 straight days. At the end of each day, they would quit rehearsing, and after a group dinner, they would start playing tapes for each other and talking about music. This went on until 4 am. Their rehearsal process allowed experimentation with rhythmic figures that were beyond the scope of rhythm as known in Western music. These rhythms were complicated yet could not be understood in any other way than as a groove or feel. The openness and flexibility of Icebreaker allowed me to imagine music with a strong rhythmic pulse, written down, with no one playing the beat, and no one playing on the beat. The players in Icebreaker have trained themselves to play in independent interlocking units going on simultaneously – like all the different thoughts in one’s head that go on – like being able to hear all of the music that’s going on everywhere in the world, in your head, at the same time." - "Icebreaker are a 12-piece contemporary music group founded by James Poke and John Godfrey in 1989. Since then Icebreaker have developed into one of the most exciting and cutting edge contemporary music ensembles in the world. Their characteristically individual repertoire includes some of the best known and most influential composers in contemporary music, such as Michael Nyman, David Lang, Michael Gordon, Gavin Bryars, Brian Eno, Philip Glass, Terry Riley, Barry Adamson and Donnacha Dennehy. 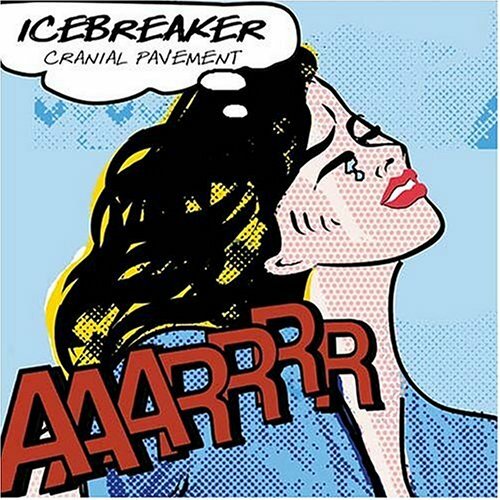 Icebreaker create music that appeals to contemporary classical, rock and alternative music audiences alike. Given their unusual instrumental combination of guitars, electric strings, keyboards, pan-pipes, saxes, accordion, drums and percussion, and the distinctive amplified sound, Icebreaker represent a unique voice in British music. . . ."
" - In 2013 Icebreaker will be mounting the second part of an ongoing examination of electronica in live performance with a new project, based around the music of Kraftwerk, in association with Tim Boon, chief curator at London’s Science Museum, and Bryony Dixon, curator of silent film at the BFI. The new project will be premiered at the Science Museum in early 2013, before touring in the UK and Ireland. Other current projects include new commissions by Donnacha Dennehy and Roy Carroll, a new arrangement of Glassworks (by special permission from Philip Glass) to celebrate Glass’s 75th birthday (premiered in April 2012), as well as further performances of existing projects. The third part of the electronica project, based on music by Venetian Snares is projected for winter 2013-14. . . ."
- "Cranial Pavement features compositions by a new generation of European composers who are making waves in the UK as well as on the Continent for their visceral new music. Beginning with a brilliant, new realization of Nancarrow's "Study for Player Piano #2b," Cranial Pavement follows Nancarrow's legacy of pop-influenced rhythmic innovation to Englishmen John Godfrey and Richard Craig as well as acclaimed Greek composer Yannis Kyriakides. . . . ."
What do you think about them being on Drip.fm? Any members in here? - "Some musical events encourage a community to take stock of its surroundings, but very few fold so seamlessly into the environment itself that they become part of a community's memory and imagination. John Luther Adams' Inuksuit is one of those works. Scored for 9 to 99 percussion players who are meant to be widely dispersed in an outdoor area (although the piece has also been performed indoors), Inuksuit has been described by the New York Times as "the ultimate environmental piece," while the New Yorker's Alex Ross hailed it as "one of the most rapturous experiences of my listening life." The title refers to the Stonehenge-like markers used by the Inuit and other native peoples to orient themselves in Arctic spaces. Adams structured the rhythmic layers in the score to mimic these stone shapes, but there's an open-endedness to how the music is performed that reflects the sense of freedom behind it. "Each performance of Inuksuit is different," Adams explains, "determined by the size of the ensemble and the specific instruments used, by the topology and vegetation of the site -- even by the songs of the local birds. The musicians are dispersed throughout a large area, and the listeners are free to discover their own individual listening points, which actively shapes their experience." Inuksuit has been performed numerous times, and in various spaces, since Adams first composed it in 2009. This recording, made in the forest surrounding Guilford Sound in Guilford, Vermont, and produced by percussionist and composer Doug Perkins, marks the first time that the piece is available on CD. Adams also sought to capture the experience of the performance in a surround mix, which unlike most commercially available 5.1 mixes, is full-range in every channel. "We wanted to make this feel as live as possible," Adams says. "When I originally composed Inuksuit, I wasn't prepared for the strong sense of community the piece seems to create. I'm glad to be able to give some of that back with this recording." - "Did Alaska create John Luther Adams' music, or did the music create his Alaska? In his 16' x 24' cabin-studio outside Fairbanks, where Adams has worked for over two decades, the vastness of Alaska has swept through the distant reaches of his imagination and every corner of his compositions. In turn, the NEA and Rockefeller Foundation grantee - whose music Village Voice critic and composer Kyle Gann describes as "beautiful, shimmering, vast, luminous, ecstatic" - has used any means necessary to communicate the power of the elemental forces he experiences daily. Adams' methods have included percussion ensembles, Alaska Native voices, orchestral residencies, sound and light installations, and elegant prose writing collected in his book Winter Music. His music has been performed by Bang on a Can, the California E.A.R. Unit, and Percussion Group Cincinnati, among others. Where Strange and Sacred Noise calls from chaos, other compositions evoke stillness and imperceptible movement. The Light That Fills the World is uncompromisingly gorgeous, rolling beds of tone crystallizing into atmosphere. The site-specific The Place Where We Go To Listen creates music from data streams measuring the rhythms of night and day, the phases and positions of the moon, the changing sky conditions, seismic readings, and disturbances in the Earth's magnetic field. In describing it as an "imaginary world that is connected directly to the real world, the larger world," Adams could be describing all of his work. Inside, one will discover that - just as much as Alaska - John Luther Adams' music is a real place, his evocations as unique as the Arctic sun. Did Alaska create the music, or does the music create Alaska? Not even John Luther Adams knows for sure." -- Jesse Jarnow @ Cantaloupe Music. - "When Brooklyn-based clarinetist, saxophonist and composer Ken Thomson prepared to sit down and write the music for THAW -- his Cantaloupe Music debut -- he literally needed to "thaw out" by leaving town. "One of the hardest things to do in New York City is compose," he writes in the CD's liner notes. "In the winter of 2011, I decided at the last minute to find a cabin in New York state, hole myself up there, and start writing. I spent days writing music, watching the snow and ice fall around me. I didn't complete the quartet there, but the impetus behind all the movements started then." What he ended up with was a four-part suite that melts, liquifies, re-freezes and realigns the composer's demands on the traditional string quartet, making THAW (which pairs the title composition with "Perpetual," for string quartet and bass clarinet) a project that only the famed JACK Quartet could tackle. Known for their ability to lend a palpable sense of electricity to the most complex pieces by such composers as Iannis Xenakis and Georg Friedrich Haas, the four members of JACK have built up a mind-meld of instinctive communication over the years, drawing the attention of everyone from Derek Bermel to Vijay Iyer to John Zorn and more. Although this is Thomson's debut album as a composer for Cantaloupe Music, he has released as a leader with his composed/jazz project Slow/Fast, and has released five recordings worldwide with his collaborative punk/jazz band Gutbucket. His relationship with JACK Quartet began on a tour with Ensemble Signal in early 2010, when they performed the music of Helmut Lachenmann. 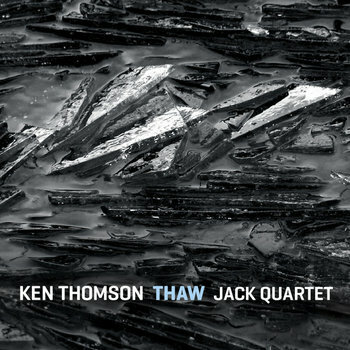 THAW is the first full-length CD recorded by JACK Quartet to focus solely on the music of a single living composer." - "Ken Thomson is a Brooklyn-based clarinetist, saxophonist, and composer. In demand as a composer and freelancer in many settings, he moves quickly between genres and scenes, bringing a fiery intensity and emotional commitment to every musical situation. Time Out NY has called him "the hardest-working saxophonist in new-music show business." He plays clarinet for the Bang on a Can All-Stars, and leads the Asphalt Orchestra -- a 12-piece next-generation avant-garde marching band, called "cooly brilliant, infectious... top notch players" by The New York Times. He plays saxophone and is one of the three composers in the punk/jazz band Gutbucket, with whom he has toured internationally to 19 countries and 32 states over the course of more than a decade, and released CDs for Knitting Factory, Enja, NRW, Cantaloupe and Cuneiform Records. Thomson is on the faculty at the Bang on a Can Summer Music Festival." 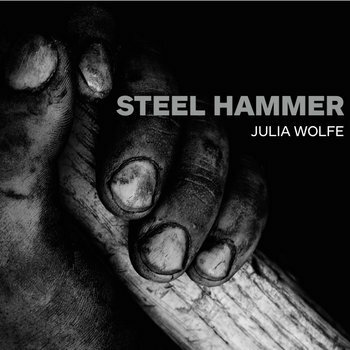 - "Inspired by her love for the music and lore of Appalachia, Julia Wolfe based her text for Steel Hammer (called a "wild hybrid" by the New York Times) on over 200 versions of the "John Henry" ballad, which has been recorded by everyone from Johnny Cash to Bruce Springsteen. A runner-up for the 2010 Pulitzer Prize, Steel Hammer features the alternately haunting and playful vocalizations of Norway's renowned Trio Mediaeval, and stretches the standard instrumentation of the Bang on a Can All-Stars with wooden bones, mountain dulcimer, banjo, clapping, clogging and much more. "Steel Hammer was inspired by my love for the legends and music of Appalachia," Wolfe explains. "It's a return to my musical roots in folk music, and when I wrote the piece, I looked to the breadth of musicianship in the Bang on a Can All-Stars. Trio Mediaeval was also a key inspiration, because they bring a beautiful pure sound and a real depth of emotion to the work. And last but not least, I was moved by the myriad of songsters, some known, some not-so-known, who filled my ears with their own personal versions of the John Henry ballad." - "The vocal ensemble Trio Mediaeval was founded by Linn Andrea Fuglseth in Oslo in 1997. For sixteen years, the three original members Anna Maria Friman, Linn Andrea Fuglseth and Torunn Østrem Ossum constituted the trio. In December 2013, Torunn left the group. Linn Andrea and Anna Maria are now joined by Berit Opheim, who has been singing with the ensemble regularly since 2010. The trio's core repertoire features sacred monophonic and polyphonic medieval music from England, Italy and France, contemporary works written for the ensemble, as well as traditional Norwegian, Swedish and Icelandic ballads and songs, mostly arranged by the group members. During the last eight years, the trio has developed exciting collaborations with both individual musicians as well as larger ensembles/orchestras. Trio Mediæval's first CD on ECM Records, Words of the Angel, immediately reached Billboard's Top 10 Bestseller list and was made the Stereophile "Recording of the Month" in April 2002. Further releases on ECM followed in 2004 withSoir, dit-elle and in 2005 with Stella Maris. The first three recordings, produced by John Potter, consisted of medieval and contemporary works. In 2006, the trio started a long-term collaboration with the Norwegian percussionist Birger Mistereggen, and the long awaited recording of Norwegian ballads and songs, Folk Songs, was produced by Manfred Eicher and released in the Autumn of 2007. Folk Songs was nominated for the Norwegian Spellemannprisen and for a US Grammy Award for "Best Chamber Music Performance" the following year. Their latest recording, A Worcester Ladymass (2011), like the previous releases, hit the Billboard's Top 10 list, and was selected by the German Record Critic's Award as one of the best new releases in the "Early Music" category. . .
- "Georg Friedrich Handel's 1742 masterpiece of spiritual rebirth is, itself, reborn in this deep and thoughtful tribute album. Eleven of today's most searching musical minds respond to one of the classic works of Western music, and their responses range from tuneful electronica to craggy modernism; from moody ambience to unbounded joy. An unprecedented collection of some of the brightest lights of composed music, electronica, and, experimental hip-hop has created a rich album with incomparable musical range. - For Messiah Remix, Cantaloupe assembled a wide range of composers, across a spectrum of approaches and technologies: It began on the East Coast with electronic pioneers Paul Lansky (Princeton Electronic Music Studio, sampled by Radiohead on their landmark album Kid A) and Tod Machover (MIT Media Lab). It looked West to find Charles Amirkhanian (text/sound pioneer) and performance artist Laetitia Sonami. It looked across the globe for some of the hottest DJ's - up to Canada for John Oswald (inventor of Plunderphonics), to the UK for Scanner, and to Japan for Nobukazu Takemura. It invited NJ-based Dalek, hailed for bringing hip-hop to a new level of artistry. And finally, Cantaloupe artist Phil Kline (Zippo Songs and Unsilent Night) joined in, alongside composer Eve Beglarian (Twisted Tutu) and the up and coming young producer R. Luke DuBois..
Each artist worked in new ways to manipulate the piece. Amirkhanian created a subtle collage of undistorted phrases from the original; Takemura added beats; Dalek added words; and DuBois electronically contracted the entire work into less than five minutes to create a beautiful wash of ambient sound." - "If you stop and think about the oceanic dimension of music, there’s this implication of immersion. We came from the ocean, and we’re going back to the ocean, right? We’re made up mostly of water, and life on earth first emerged from the seas. And with the melting of the polar ice caps and the rising sea levels, we may become ocean sooner than we imagine. One idea that I suggested was to build on the sound world of an earlier piece I’d composed called Dark Waves, which is a 12-minute piece for large orchestra and electronic sounds. To my surprise and delight, Ludo was very interested. I was calling it “Dark Waves on steroids,” and I knew early on that I wanted to take that oceanic sound and expand it into a much larger timeframe. So the result was Become Ocean." - "Called "one of the most original musical thinkers of the new century" (Alex Ross, The New Yorker), John Luther Adams is a composer whose life and work are deeply rooted in the natural world. Born in 1953, Adams grew up in the South and in the suburbs of New York City. He studied composition with James Tenney and Leonard Stein at the California Institute of the Arts, where he was in the first graduating class (in 1973). In the mid-1970s he became active in the campaign for the Alaska National Interest Lands Conservation Act, and subsequently served as executive director of the Northern Alaska Environmental Center.". Posting this to make brighternow feel jealous...! Just bought my ticket for "What?... Wow: David Lang's Festival of Music" in Dublin next March. Recognized worldwide for their ultra-dynamic live performances and recordings of todays most innovative music, the Bang on a Can All-Stars are set to wow Irish audiences at What? Wow: David Langs Festival of Music 2015 at the National Concert Hall, over two days on 6th and 7th of March 2015. Presented by New Music Dublin, this truly unique festival featuring a range of Irish and internationally renowned ensembles, is curated by the Bang on a Can co-founder and Pulitzer prize-winning composer David Lang whos own composition man made will be performed by the RTÉ National Symphony Orchestra with New York based quartet - So Percussion. Highlights of the festival include the signature 8-hour Bang on a Can Marathon with performances of works by Irish and international composers; including the premieres of works by Bang on a Can co-founders Julia Wolfe and Michael Gordon, Irish composer Linda Buckley, Bryce Dessner (of The National), and Pulitzer prize-winning composer John Luther Adams. PLUS Bang on a Cans acclaimed live arrangement of Brian Enos Music for Airports and Steve Reichs Music for 18 Musicians. Jealous ? . . . Me ? . . . Noooooh ! - Julia Wolfe and John Luther Adams would be top priority for me. Luther Adam's Become Ocean is truely amazing and rediculously cheap for us Europeans. Yeah, Become Ocean arrived on emusic just after I'd used up my downloads... gotta wait another couple of weeks to get it. And Steel Hammer's one of my favourite releases of the year too. - "Drummer, composer, bandleader and improviser Bobby Previte is known for his voluminous contributions to New York’s legendary downtown experimental music scene – an immensely fertile period in the 1980s that saw the likes of Steve Reich and Philip Glass breaking new ground with Ornette Coleman’s Prime Time, Bang on a Can and many more. Now with nearly four decades under his belt as a creative force behind the drumkit, Previte has assembled a dream team of musicians from the jazz, indie rock and classical worlds to create TERMINALS, a luminous project consisting of five concertos for percussion ensemble and soloists, each inspired by the schematic-like terminal maps that Previte has noticed in airports around the world. The eternally adventurous So Percussion accompanies throughout, as Nels Cline (Wilco), Zeena Parkins, Greg Osby and John Medeski (Medeski Martin & Wood) take turns in the forefront to deliver an electrifying part-composed, part-improvised workout spanning two vinyl pieces. Cantaloupe has done it again ! - "In the words of journalist and WNYC radio host John Schaefer, composer and bassist Florent Ghys writes pieces that “blend elements of minimalism, pop music and a dose of extravagant wit.” For his latest feat of magic in the studio, Ghys presents Télévision — an epic foray into classical forms, musique concrète, samples and sci-fi that warps the very edges of contemporary music. As Ghys himself describes it, “Télévision is about weather reports, digital music, plastic beauty, synesthesia, and dance.” All 13 pieces were composed, played, recorded, and filmed by Ghys — and we say filmed, because Ghys has taken the extraordinary step of creating a video to accompany each piece, in playful tribute to the medium that inspired the message. Télévision was recorded in the bathroom of the Veltin studio at the MacDowell Colony, NH, and in Florent’s bedroom in Sunset Park, Brooklyn, NY." - "is a composer and double bass player from Bordeaux, France, based in Brooklyn, NY. Cantaloupe Music 2014 - €music. 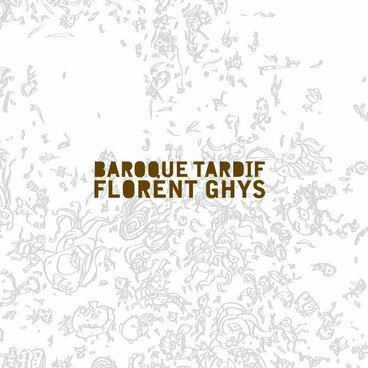 - "Following his 2009 EP release, Baroque Tardif: Soli, Florent Ghys is back with a full-length album, Baroque Tardif, revealing the various directions his work has taken him the last four years. The answer to the common question musicians often get - "what kind of music do you play?" - is summed up neatly in this title (meaning "late Baroque"). Says Florent, "When I was a teenager I had an odd classical guitar teacher who was convinced that baroque music would come back one day and would crush all other kinds of music. I remembered this peculiar idea while working on the first draft for this album since the pieces in it are often very dense and contrapuntal. Baroque Tardif could be like the resurrection of a very late baroque." Baroque Tardif encompasses a diverse medley of multimedia experimentation. Phase parisienne features some contrapuntal experiments while Quatrieme implores an extended canon technique. Pull blanc, chemise rouge, always remaining playful and modal, brings out an accessible pop side to Florent's music. The album also unveils Florent's personal vocal technique, as in Simplement, in which his voice sings on top of a speech sample. Even more compelling is the dominate use of solfege (do re mi...) as lyrics, leading the listener to consider voice as an instrument. As with his first EP, Florent has recorded this album using a unique and personal tuning of the double bass, bringing the instrument nearer from the cello and extending the range of possibilities of his virtual "multiple-me ensemble" made of basses, guitars, voices and percussion." - Cantaloupe Music - €music. Sunday, February 15, 2015 - 4:00pm - 10:00pm, The Moore Theater Seattle, WA. 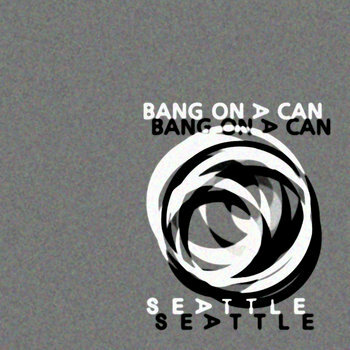 The Bang on a Can Marathon in Seattle will feature six hours of live music by some of the most innovative musicians from across the country alongside some of Seattle’s most pioneering artists, in an incomparable super-mix of boundary-busting music from around the corner and around the world. . . . ."